Team bonding activities improve workplace projects that involve teamwork. After completing team building activities together, employees better understand each other’s strengths, weaknesses, and interests. This understanding helps them work even better together on future progress vital to a company. You can tell a lot about a teammate after you witness how they interact with clay. The shared experience and learning will help forge a strong team! Learn at our studio or we can come to you! 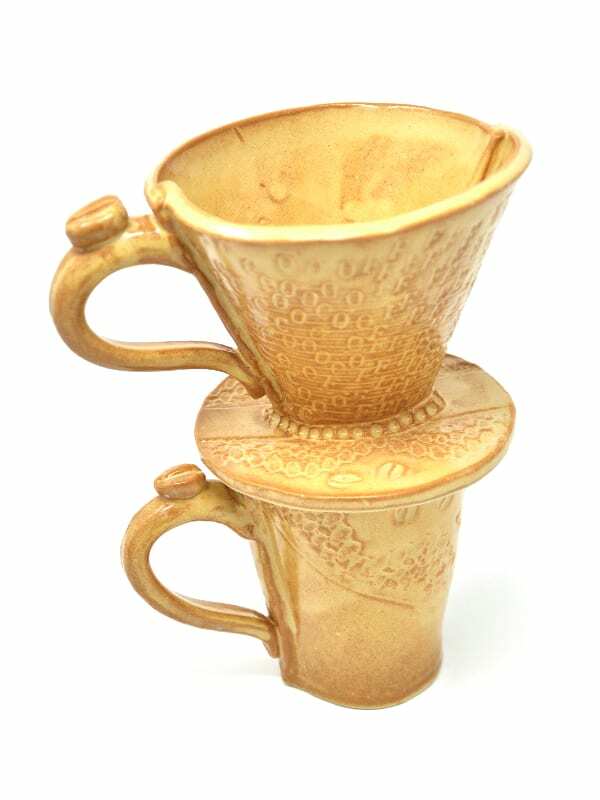 The service of glazing your work from a choice of 4 dipping glazes–OR you come back later to glaze. 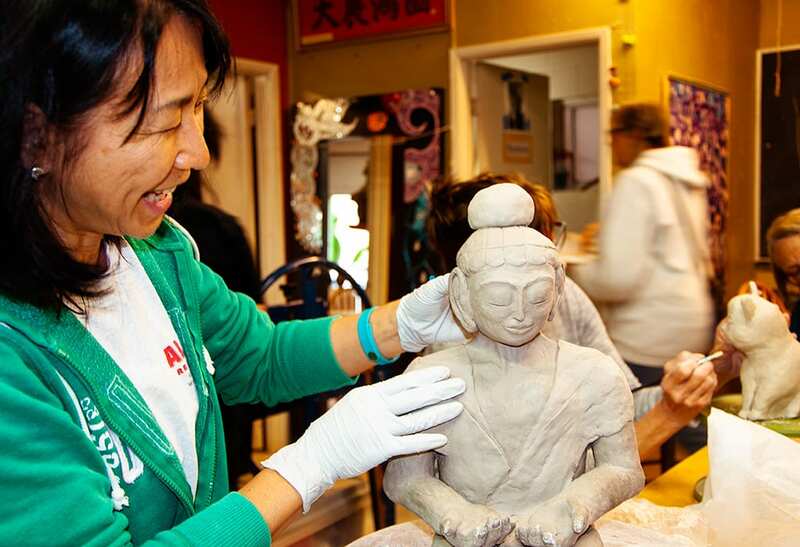 Ask us to customize a memorable experience for your Group Event or Teambuilding Activity. Use clay slabs, templates, forms, texture mats, rollers, letters and other tools to create. 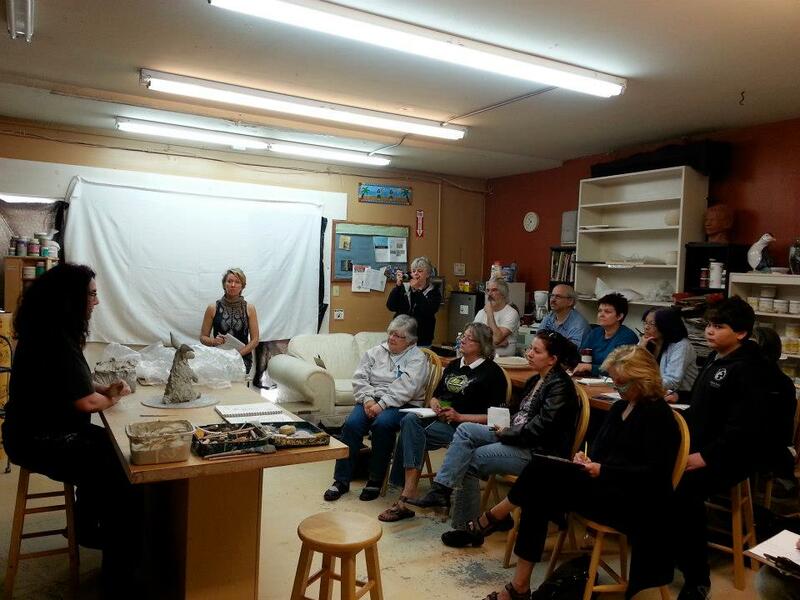 At the end of class choose your glazes and we will fire and glaze your work for you! 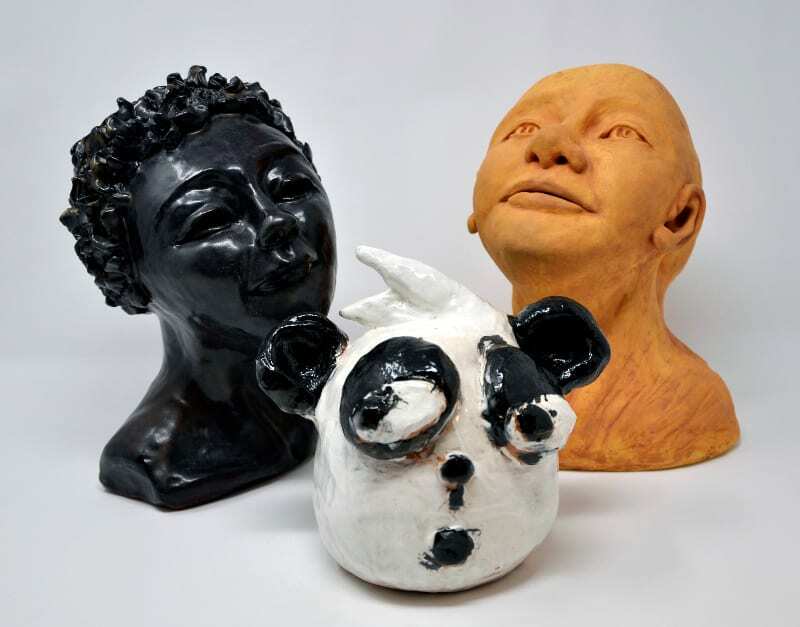 Learn how to build a bust of an animal or person. Work in small teams or individually. We will guild you through all the steps. If you choose to work in teams we will add small birds to sculpt as well so everyone takes home something. Super fun project! 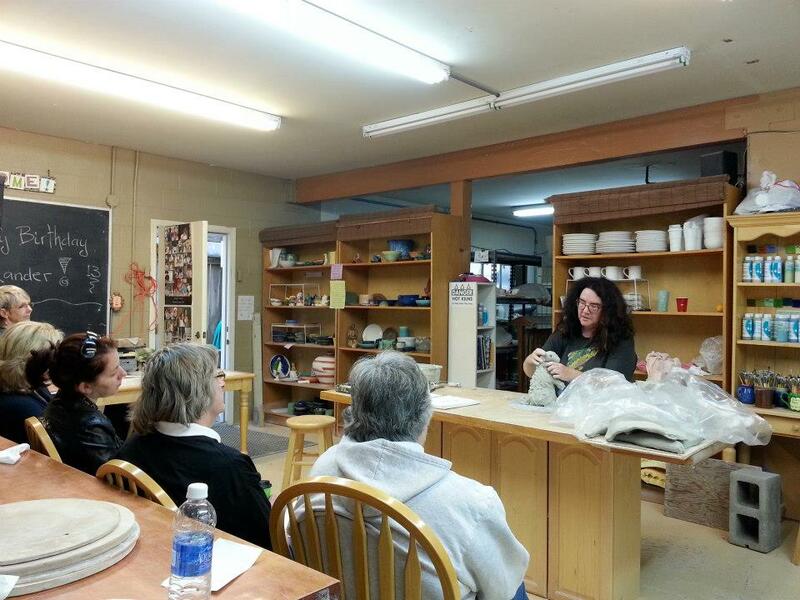 At the end of class choose your glaze and we will fire and glaze your work for you! Each person works on sections to the totem pole. Come in with a theme or just wing it! 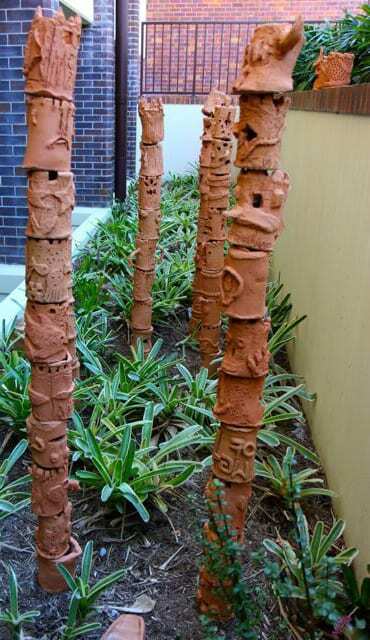 We provide the three inch wide by four-inch tall red clay tubes. Each person works on one foot of the totem pole adding 3d images, letters, words, silkscreen image transfers, carvings and colorful underglazes! We have all the tools and materials. Put it in a planter or outside the office! 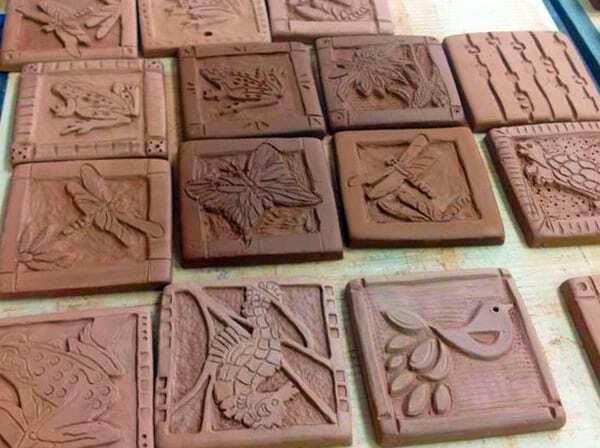 Create a clay mural together as a group. You create the design or come in with an idea and we will help you make it happen. Add sculptural elements, color, carve or one giant image. Teams break up into different groups working on different sections to it. After it is fired and glazed we set and grout the mural into a handcrafted wooden frame with a natural edge. All the wood used through Clay Creations is milled locally! Create a framed piece of artwork for your wall! 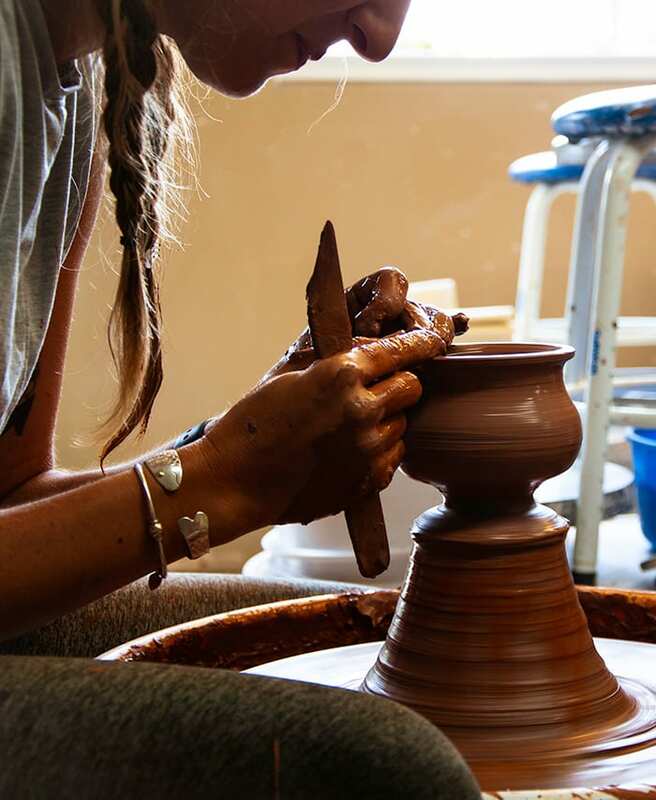 Use the potter’s wheel or hand build nine small pots. 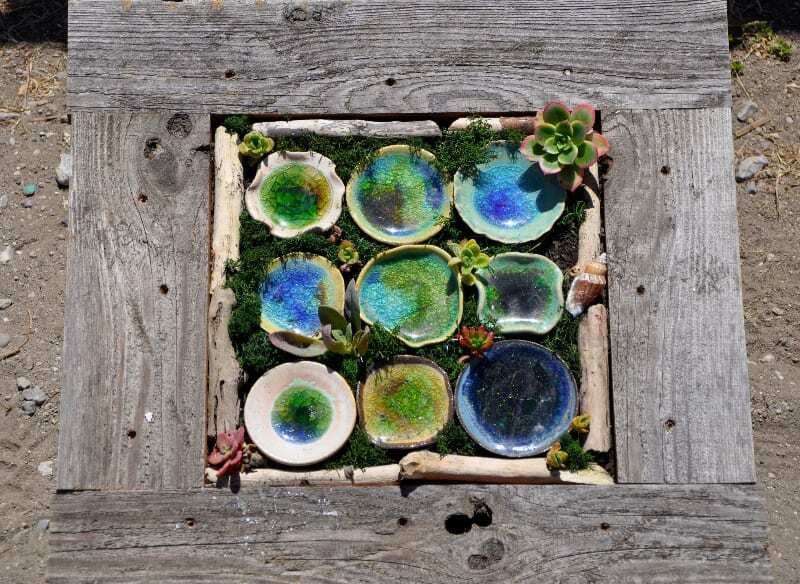 Choose your glaze and colored glass to melt in the pots, then choose 10 tiny succulents We will then fire and melt the glass in the pots that will be installed in the wooden wall planter with your succulents. We add dry moss to help hold everything in. The frames are one foot in diameter for plants and pots with a two-inch-high rim. All wood used is milled handcrafted locally. Bring a friend or group, and save! Instruction by arrangement–$55 per person. Pre-registration is required for all classes. 24-hour cancellation notice required, secured by a deposit. camps for kids and good opportunities for teens and young adults to be camp staff. Really friendly atmosphere. We only send 3 Newsletter's a year! The Holiday Sale, The Mother's Day Sale & our FogFest Sale.